TRY MACPHUNS AURORA HDR TODAY! Before the Tutorial I wanted to supply you with to important links. The first is a link to all the software that I use and I supplied discount coupons where ever the developers were able to pass them on. The 2nd link is my FREE HDR tutorial for MAC, which I am happy to share on this website, FREE! Free HDR Tutorial (Windows)– Another comprehensive FREE HDR Tutorial for Windows, along with everything you need to know from shooting to software, even cameras and tripods. I’ve noticed a lack of information and sharing of technique on HDR and the D800, HDR Bracket choices on the D800 and HDR User bank settings on the D800. I felt like lukezeme.com was a good place to facilitate an environment to further our understanding of these topics. So all that said (BIG breath in ! haha) I have written this guide for those of you out there who have purchased a Nikon D800 and are unsure on how to setup your camera to take bracketed sequences for HDR images at the press of a button ! Im offering one method on how you can achieve this without a remote and just pressing your shutter button once without holding it down. There is a section in the manual describing how to do a bracket but I’ve found that it didn’t fit the types of brackets I wanted to shoot, and by that I mean for HDR images. Instead I have worked out a method/workflow myself that has a 2 second time delay and all I do is press the shutter button and the sequence fires off. This means that you won’t get any camera shake on that first exposure which is very important on the D800 since any blur is amplified on its huge 36MP Full Frame Sensor. A side note, I use a tripod on 99% of my brackets. The only time I wouldn’t use a tripod was if I was in a museum or a similar location where it was impossible to set one up. -Firstly turn your camera on ;-), had to put this in ! -Press right on the navigational pad, and navigate down to ‘c-Timers/AE lock’, and hit right again. -Navigate to ‘c3-Self-timer’ and click either the round button in the middle of the navigation pad OR right on the navigation pad to select it. 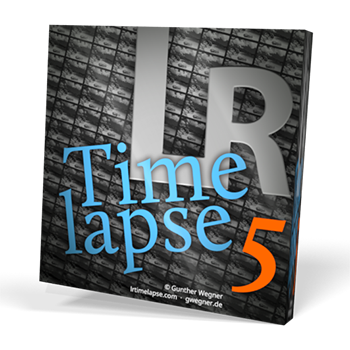 -Once inside the Self-timer MENU you have 3 options that you are able to change: Self-timer delay, Number of shots and Interval between shots. -Now firstly navigate to ‘Self-timer delay’ by having it highlighted in the menu and pressing either the small button in the middle of the navigation pad OR right on pad. I prefer 2seconds but select the time delay you would prefer for the bracket sequence to start after you press the shutter release button and press OK. The OK button is down the bottom left on the back of the camera. -Now navigate down to ‘Number of shots’ and press the button in the middle of the navigation pad or right. Once in here you will just have a counter which goes from 1 > 9. Select the number of shots you want in the bracket e.g. 3, 5 or 7 and hit the OK button down the bottom left. I usually use 5 unless I’m shooting directly into the sun in which case I use 7. -The third option is ‘Interval between shots’ and I select 0.5s but you have the option of 0.5s, 1s, 2s or 3s. Highlight the option you would like and hit the OK button. You also have to select which type of Bracket you want to shoot. For HDR it is best to shoot an AE bracket. To set this option, follow these instructions. -go down to ‘e-Bracketing/flash’ and press right OR the middle button on the navigation pad. -navigate to ‘e5-Auto bracketing set’ and press right. -highlight the ‘AE- AE only’ option and hit the OK button, which is down the bottom left on the back of the camera. AE-only means you are only bracketing the ‘exposure’. Now you have to get out of the MENU simply by pressing left or the MENU button continuously until the screen is blank. -Now on the other side of the camera Press the ‘MODE’ button and turn the ‘Main command Dial’ until you see an ‘A’ in the Control Panel. This is Aperture mode and the mode you want to use when shotting Brackets for HDR. It keeps a constant Aperture for the entire bracket sequence and automatically selects Shutter speeds for you. -The Next step is to press and hold the ‘BKT’ Bracket button and rotate the ‘Main Command Dial’ to match the number of exposures you selected back in your ‘Self-timer delay’ option. So 3F for 3 shots, 5F for 5 shots and 7F for 7 shots. -You can also adjust the ‘Exposure increment’ from 1/3, 2/3 and 1EV. To do this press and Hold the ‘BKT’ Bracket button and rotate the sub-command dial and you will see on the control panel the Exposure increment changing from 1.0, 0.7 and 0.3 which is the above numbers but in a numeral value. -Select an aperture you want for the bracket by rotating the sub-command dial. e.g. 2.8, 10, 22 etc. -The final step is to set your camera to manual focus. So what I do is select where I want in focus in the image. Focus on that area using the camera in Auto-focus mode and then change the camera to Manual Focus. If you have the camera in Auto-Focus mode it will be searching for Focus in each frame and if you have moving objects in the frame such as cars or people this will interfere with the shot. You want each frame to have the same plane of focus so when you combine them in your HDR software, similar objects and areas have the same sharpness. -You can also Set your ‘ISO’, ‘QUAL’ and ‘WB’ to the desired choice by pressing and holding the desired one and rotating the command dial. I shoot ‘QUAL’ in RAW so I’m able to have control over aspects of the image in Adobe Lightroom and then convert them to JPEG’s later. 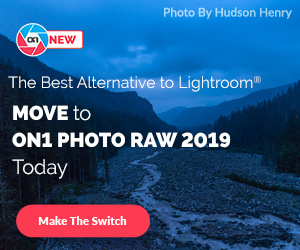 – Now you Frame the photograph and press and release the shutter button, which you do NOT need to hold and your sequence of Bracketed images for HDR will be shot according to the bracketing program. If it works correctly you can watch in the Control panel and you will see the Aperture stay the same and only your shutter values changing. *Note- Things to be aware of- sometimes if you are changing options such as the aperture and ISO etc. The Number of shots (e.g. 3F, 5F) will go back to zero (0F). So it’s a good habit to continuously press the BKT button before you fire off a sequence to check it is still at 5F etc. because if you spend a day walking around shooting brackets you are definitely going to be using different apertures, ISO and WB which will inevitably end up sending the BKT to 0F. So just make a habit of going through the camera body sequence or otherwise when you get home you will find you have a bracket with all the same exposures. So this is how I setup up my Nikon D800 and you may do it differently but I’ve found this works for me in pretty much any situation. I think something like this needed to be written because there are directions out there on the net but not all in one workflow like this. I had to work this out myself through trial and error and thought it would be good to share it with other Nikon D800 users. That’s it for the Nikon D800 HDR Bracket Camera Guide. Hi thank you so much for writing detail of Hdr it really helped me. No problem, glad it helped ! Wil help out no end. Just got my D800 today and was pulling out way too much hair trying to figure out how to set up a simple bracket set for HDR. It’s crucial to what I do and the camera store could only lead me to setting up the Function Key to Bracket Burst. Fine, if you want to keep your hands on the camera! Not! Your simple tutorial was just what the doctor ordered. Now I can cancel my subscription to Hair Club for Men! Thanks for that Luke, very straight to the point. You have done an incredible layout here. I love the way that you have used visuals. Awesome awesome way of teaching thank you so much. I just got my D800 and was wondering how to get it set up properly for HDR. Thank you so much for these detailed instructions! Excellent work! Thanks very much. This always was a struggle for me, but with your guidance I have overcome. Thanks a lot. Great website. I use a similar method with my Nikon but use the Interval Timer Shooting to take the bracketed shots. My approach seems to have less delay between each shot and so I guess is better for my handheld approach- which is what I do most of the time. Great tutorial – although I’m a bit confused. Selecting HDR mode, my D800 fires 2 shots only & combines them, in camera.. Are you talking about a different way to do this, via taking multiple exposures each at diff exp compensation – then combining these in an external software program? hey Luke, Thanks a lot for sharing your process. Its very useful. Is there any way to use self timer to trigger the sequence with the mirror locked up? Hey Sanjay the only way to shoot a bracket with Mirror lock up mode I’ve found is using a trigger… Im pretty sure you can’t with the camera’s self-timer mode, at least I havent found a way. Thanks for the tips. I haven’t done HDR’s in a while. Since it is a new camera it makes it even more difficult. Your tutorial helped. Can’t wait to try it out again. Thanks. Very nice! Thank you for this so much. This will really help all of us out there who love doing HDR. I also love your fine art prints. Could you explain how you did the borders and white space for them? I love seeing prints like that. Thanks for all your effort. My question is how large are the files when you shoot? Are you just doing Nefs or a combo with jpegs? What is the size of he combined files for 5 or 7 shots combined? Hey Rick, I only shoot in RAW because I prefer to have that high quality image to edit in Lightroom. Each image is about 40MB each and 16GB and 32GB cards are pretty cheap these days on ebay so are HDD for PC’s. I backup my lightroom folders onto a second HDD incase of a crash, we’ve all heard the stories ! Have read your HDR procedure, but couldn’t figure out whether mirror lock-up capability is built in. Did I miss it? I have a nikon d200 and was looking at making the plunge into the d800. Why arent you able to shoot raw bracketed photos on the D800? Do you shoot now in Tiffs? Please please help. Dude, this is a fantastic guide for the d800 bracket set-up. I am looking at making a quantum leap from a D90 to a D800 or D600 (not sure yet). I was leaning towards the 600 because of the price and the size of the sensor. The 800 sensor is so LARGE. I really like the artistic look of HDR and after studying your guide the 800 is now the front runner. BTW your sample images are beautiful. i put this tut on my camera back using this abreviation code below . Don’t you have to change a setting to “HDR” mode to get it to combine all images into one? Otherwise won’t y0u simply have separate images? In the above instructions I don’t see where you activate HDR from the shooting menu. Instead of auto focusing and then switching to manual, why not just manually focus? You can manually focus of course, I just like to make sure that it is perfectly in focus because I use a Full Frame Nikon D800 which has 36MP and it’s good to make sure my images are in focus. thanks for the great tips. I tried to follow everything you stated. However, when I did this first time the bracketing button did work, but second time when I press the button, it doesn’t do anything. It just doesn’t work. What could be the problem? The camera is new. Thanks. With this tutorial about HDR, it speaks volumes about your experiencem well in every profession people say one has to have their basics right,problem with most of us is that we either ignore or take it for granted and worse is we forget. Well you have not left any thing but still you have instilled confidence in many ego less photographers.Thanks a TB. Can the Nikon snap 10-20 shots with 1 or 2 or more different ev steps? Hey Darius, thanks for reading my guide, I can shoot 9 frames on the Nikon D800 at a max 1EV. If you are in need of more than 9 frames you can use an external device called promote control which brackets an amazing 45 shots !!! Personally I rarely use more than 5 frames for my HDR shots and only sometimes use 7 when I shoot into the sun. Your article certainly improves on the Manual. But I am looking for something more in that I was led to believe the D800 could do the whole bracketing sequence with the Mirror UP. This would eliminate all shutter vibrations. Is this possible with the D800 and if so, how is it done? Could it be done in conjuntion with Live View? Obviously, you cannot use the self timer and Mirror Up at the same time. Hey Robert, I wrote this tutorial when I received my D800 on its release some 8-9 months ago now. The purpose of the tutorial was to teach people how to shoot a HDR bracket without a handheld timer or shutter release. The only way I am aware of shooting a bracket with MU mode is with an external trigger release in and holding the trigger release down whilst the bracket shoots. Thanks alot for this. I have a D7000 but it has helped me alot! I am offering you a hot beverage anytime. 🙂 Thanks again. My D800 bracketing options show: +3 and -3, but not just “3”. The first gives 3 overexposures, and the other gives 3 underexposures. Any idea how I can just get 3, which is supposed to be one under, regular, and one over. The manual shows this as one of the options but on my camera it doesn’t seem to offer it. Thanks! I discovered the answer to this issue by accident, as the manual doesn’t explain. When you go to select the number of bracket shots you need to turn the main command dial to the right. This gives you the normal options. If you turn to dial to the left you get the options I described in my question. Nikon needs state this. But perhaps I was the only one who got confused by this! Perhaps it is just me but to achieve constant aperture and changing shutter speeds through the pictures taken you cannot have iso-auto activated. I just have one question: For the three first pictures. You are shooting directly into the sun so I guess you took 7 pictures… HOW DO YOU DEAL WITH MOVING SUBJECTS??? The walking man or the car are clear with no “ghost” effects… This is driving me crazy! Anyway wonderful shots, very good guide. Thanks for the time you spend on this. Hey Stephane, thanks mate… yeah I wrote a HDR tonemapping tutorial that involved removing ghosting, you’re in luck ! Head over to this link and watch the 2nd vid, the one with the Bullet train. That should teach you everything you need to know and if you read the post there is a 15% off code on Photomatix. Hi Luke, Many thanks for this article – bloody magic mate magic,where and how do I tap in to your future tutorials? Thanks Ray, We are working on a whole new look for the site atm behind the scenes and included in it will be an RSS feed you can use to be notified of future tutorial/blogs as they are released. Hi, really good article. Could you help me though? On my D800E I’m not getting the same options as others are. Basically I’m not getting the bracketing display instead I’m getting a different display?? Any help appreciated. Thanks a lot for the reply. I shot soooo many HDR brackets that I knew the procedure through and through. So I would just go through the motions each time. Once you get the hang of it, you can do it in about 10 seconds! If anyone was able to share how they saved this in their custom functions it would be great if you commented below on how you did it. since i scored a d800, i have not needed to practice hdr….my d300s and d90 needed more dynamic range. but a properly exposed d800 nef file has 14 evs of light… that is plenty of dynamic range…. Thanks for the great article on bracketing/HDR! Incredibly informative. Thanks for sharing you experience. Truly appreciated.